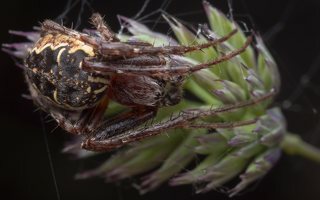 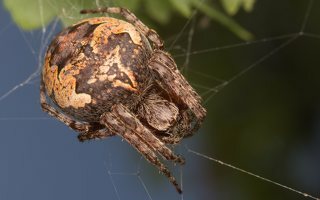 EN · orb-weaver spiders, araneids DE · Echte Radnetzspinnen PL · krzyżakowate RU · пауки́-кругопря́ды Suborder: Araneomorphae Superfamily: Araneoidea The orb-weaver spiders are the builders of spiral wheel-shaped webs with sticky spiral capture silk. 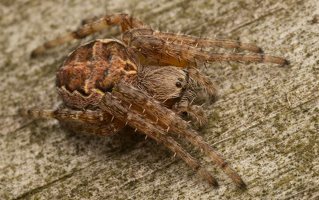 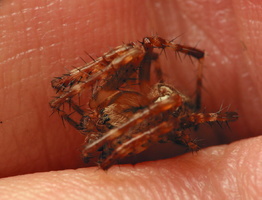 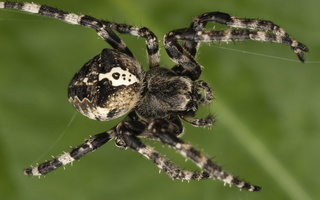 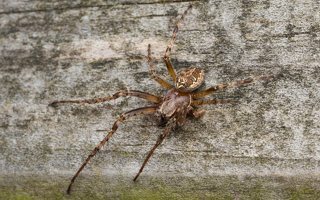 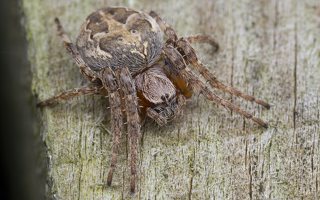 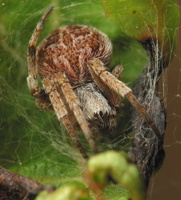 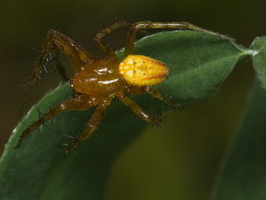 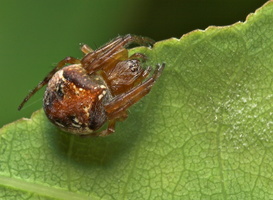 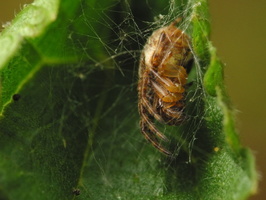 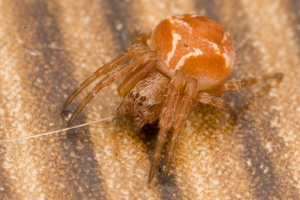 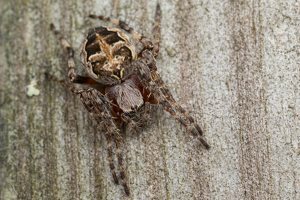 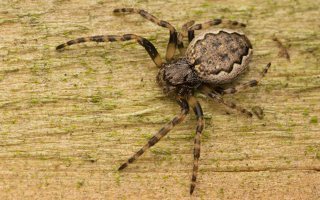 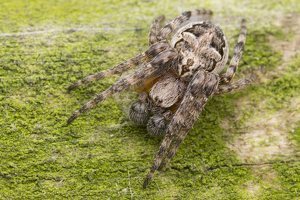 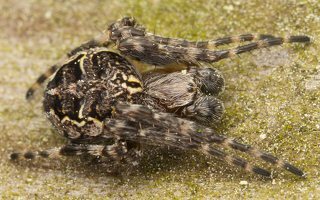 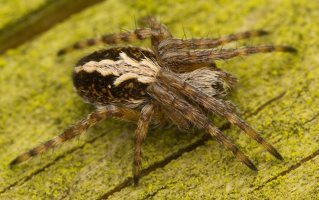 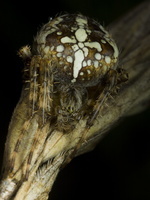 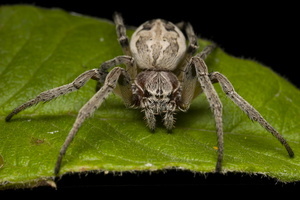 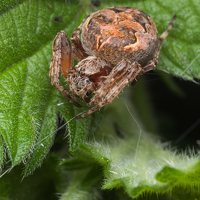 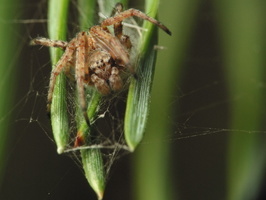 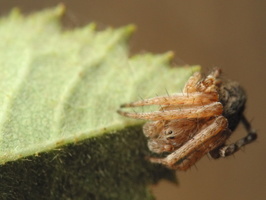 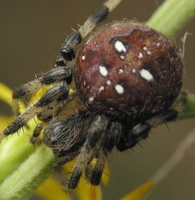 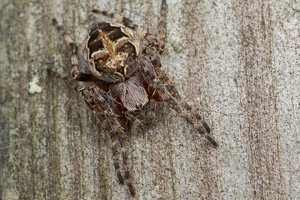 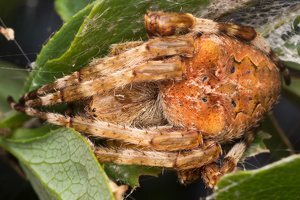 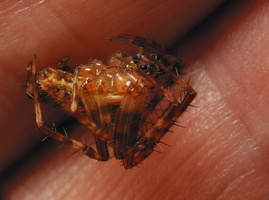 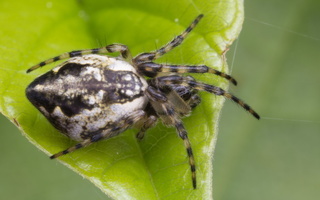 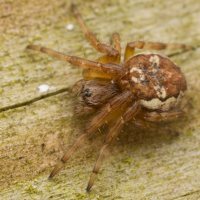 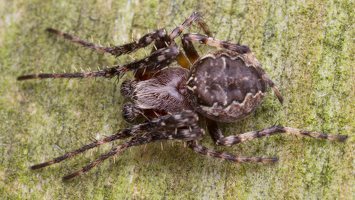 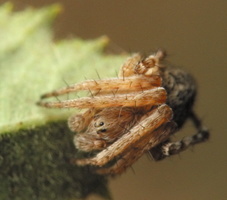 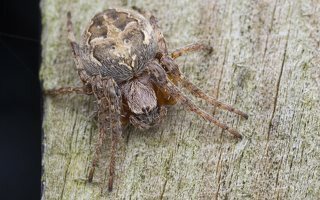 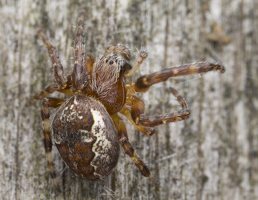 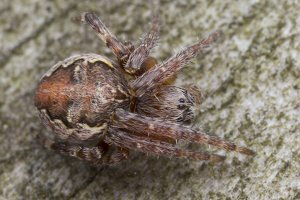 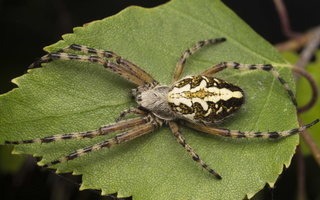 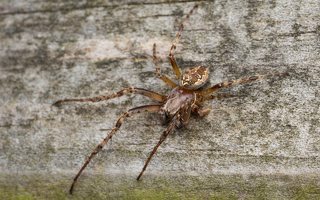 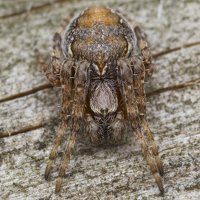 They have eight similar eyes, legs hairy or spiny. 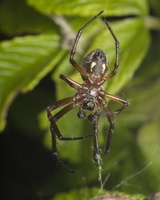 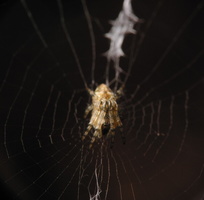 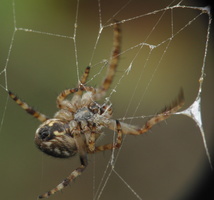 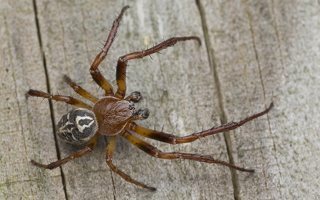 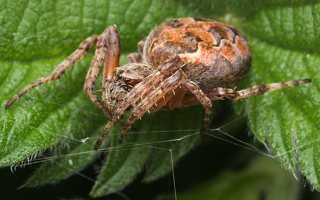 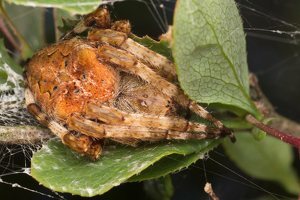 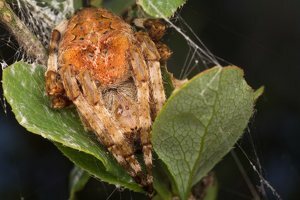 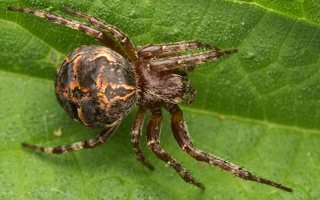 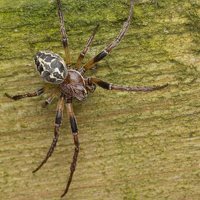 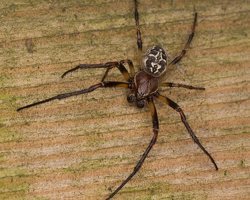 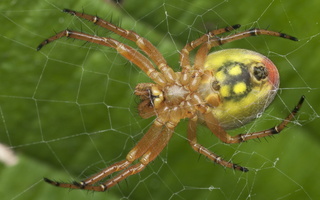 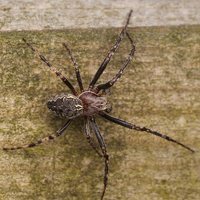 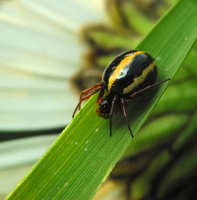 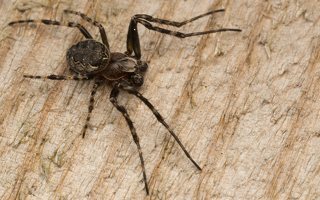 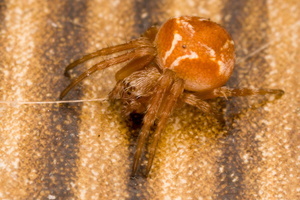 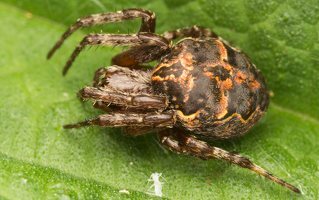 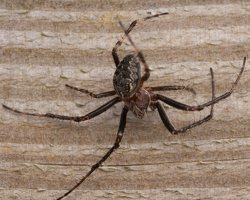 Most arachnid webs are vertical and the spiders usually hang with their head downward. 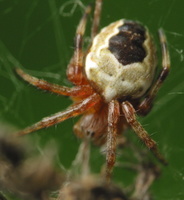 32 species in 16 genera are known in Lithuania. 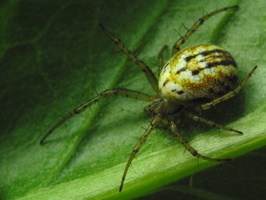 In the older literature they are called Argiopidae.